Have You Deleted a File or Lost a Folder ? Lost / Deleted files and folders can often be recovered using our new Remote Data Recovery service. This allows us to use the internet and access your machine remotely thus removing the need to have the hard drive sent to us. * This service is available countrywide. Is Your Disk Fault Suitable For The Remote Recovery Service ? * Hard drives that tell you they need to be re-formatted when you try and access them. 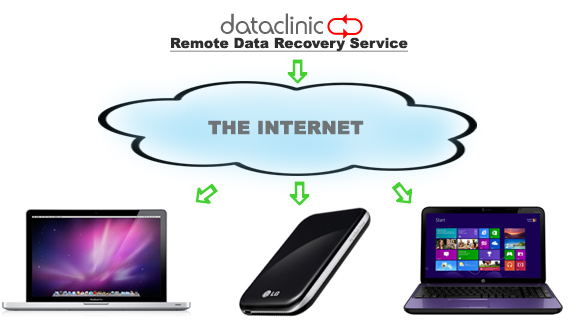 Our remote data recovery service is applicable to many but not all hard disk drive problems. If you drive has a mechanical problem (typically it will make a ticking noise when powered on) it will not be suitable for the remote data recovery service as your drive has a physical fault and will not be recognised by the computer until the defective mechanical part is replaced. In these cases we recommend you contact us for further information on how to proceed.